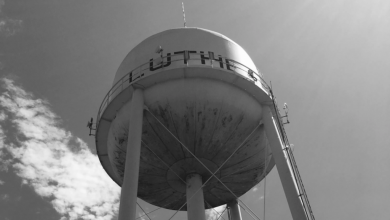 The Luther Town Board of Trustees might be hit with a lawsuit after a recent denial of a zoning variance to a state-approved medical marijuana grower. The board denied the variance request from JAB Corp., in a January 24, 2019, Special/Planning board meeting. The meeting was preceded by a public hearing in which a group of nearby landowners protested the operation. JAB Corp., is located in a wedge of land that was voluntarily annexed to the Town along the northern edge of Town limits. The Luther Register is not publishing the names or address of the property owner beyond its business name to echo a privacy practice by the Oklahoma Medical Marijuana Authority. OMMA does not list physical addresses of growers or processors on the public website beyond listing an entity’s town, zip code and county. Addresses are provided by OMMA upon request. Through research, The Luther Register has verified at least two other state approved medical marijuana growers are located within a mile from JAB’s property, but are located in unincorporated areas of Oklahoma County. “At this time, Oklahoma County does not have any additional authority over these types of operations. The Oklahoma Medical Marijuana Authority is the State agency that oversees that usage of property. They are responsible for licensing, regulating, and administering the program,” said in an email from Commissioner Blumert citing Erik Brandt, county planner. At the January 24 Town Board meeting, the owner of JAB told the board that he is a medical professional. He said he believes marijuana provides medicinal benefits to patients and that is what propelled him to become a licensed grower on his rural property once it became legal to do so in the State of Oklahoma. He paid the non-refundable application $2,500 fee to the state, was approved and incurred expenses to start a new business. 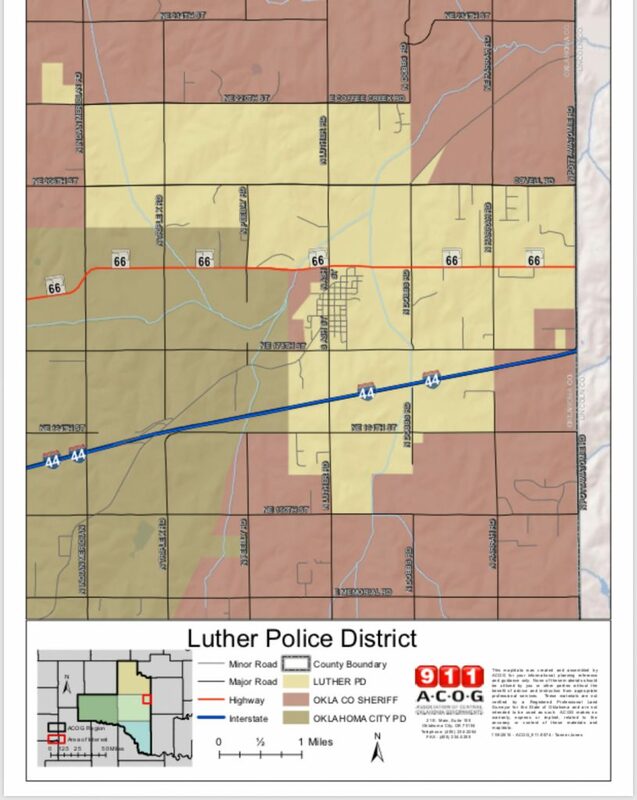 “We’ve adjusted and asked for a change in zoning (to the Town of Luther). A number of my neighbors, I don’t know about their their zoning, but they operate commercial businesses on their properties. I don’t believe this would be disruptive. We will wholesale and have no part in retail and would have no retail traffic. The extent would be employees mainly,” he said. Luther Town Board: Cavin, Langston, White, Jackson and Roach. Prior to the meeting on January 24, a public hearing was held in which a handful of nearby neighbors spoke against the operation citing concerns of safety, traffic, light pollution and other worries. Because of scheduling confusion, JAB Corp., (and the Luther Register incidentally) missed the public hearing but attended the board meeting where JAB’s owner was allowed to make a statement and answer questions. Asked by Town Board members about safety concerns, JAB replied that their operation would begin slow and remain low-key as to not attract attention. In addition, the JAB owner told the Luther Register he did not want to disclose details of their security plan in a public forum. Board members asked several questions regarding traffic flow, operational plans and safety concerns. They considered property value or devaluation. Trustee Trandy Langston commented that adjoining property owners to JAB Corp., did not attend the meeting nor did they protest the operation, and the operation would be hidden from other neighbors by a tree line. 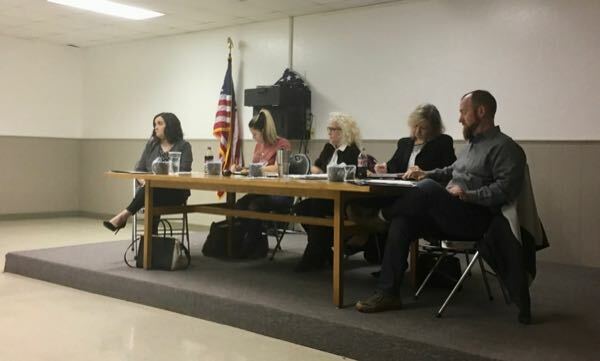 Trustee Jason Roach commented that the operation would produce an agricultural product, and questioned the Town’s legal standing in regards to the new state law. Mayor Jenni White said the municipal insurance organization, OMAG, indicates that municipalities are within their boundaries in terms of the law. She said three neighbors and a prospective neighbor were willing to come to the property to protest. The trustees voted to approve or deny the zoning variance sought by JAB. The vote was three to two. Trustees Cavin, White and Jackson voted against the variance, while Trustees Langston and Roach voted to approve the zoning change. Arguments appear to be scheduled in April at the Supreme Court. In appeal filings, Broken Arrow attorneys said a resolution by the state’s highest court will allow for consistent interpretation and application of the Act across the state to benefit all cities and medical marijuana businesses. State law trumps local law, federal law trumps state law generally. That is the issue here,this went to a vote of the people. So… town ordinance will not override the vote of the people. The rules were established in that vote. It will be interesting to see if the various states nullification of the Federal law will stand. So far, the government has not fought these various marijuana laws that the various states are passing. But for thebm to engage in this is going to be expensive at the least and could be catastrophic if they loose as it appears they might. It will be interesting to see if it is the town or the Board members themselves that are the focus of the lawsuit. You learn very quickly that there are some issues in which the towns trustees can be named and sued for that are not covered by the towns insurance. I’m keeping my fingers crossed for them, it could be a really expensive learning experience. This is the reason the town needs to follow the advice of an expirienced attorney familier with municipal law. This is untread ground, and will be questioned at every step. California, Colorado, and some of the other states have some really experienced attorneys engaged in this, Oklahoma is new to the field. We must remember this was a vote of the people so even if towns don’t agree, they have to follow what the voters passed in the state question. I have told the mayor the point Mr. McDaniel’s makes above several times regarding other legal issues. Yet, the trustees try to get away with creating rules that go directly against federal law. It is as though they either don’t request, or adhere to the advice of the town attorney. Possibly and probably because they think they can get away with it. I would also be looking in to the statement in the story about the procedures of “voluntary annexation”. Hope the Rainy Day Fund doesn’t become the a attorney fee fund. In addition to the zoning change being denied, those that are operating a commercial business in Agriculture zoned areas should also be brought into compliance. Either the law is for everyone, or its for no one. If other businesses can operate in Ag, then so too should the above wholesale grower. Honestly, wholesale grower sounds more in line with AG, than Commercial enterprises.